The new year is unfolding and many Orthodox parishes in America will be participating in a seasonal ritual known as the parish assembly. 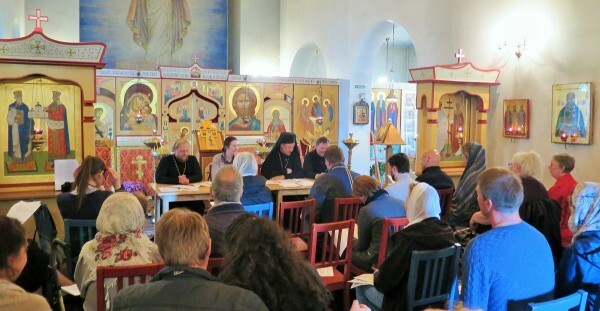 Parish assemblies are part of the process in American Orthodox parishes where the community evaluates its health and decides on matters that are the responsibility of the laity. These assemblies are a normal part of the checks and balances of Orthodox life in America. And like every other part of our Life in Christ, parish assemblies are vulnerable to human weakness. Anger, fear, envy and apathy are all emotions people can experience when it comes to participating in parish assemblies. No doubt, we are often our own worst enemies when it comes to living the Orthodox Christian Faith. However, the news is not bad. When it comes to the modern day parish assembly, things are actually very positive. Challenges often lead to opportunities. The truth is that every parish is just a few simple steps away from experiencing renewal. Today, parish assemblies can be improved upon by following some common sense best practices that encourage people to participate in the life of the Church and take responsibility for the core Orthodox Christian values of a parish. 1) Do the Important Work Before the Assembly: The most essential work of a parish assembly is the work done before the annual assembly itself. This requires a focus on accountability and service to parishioners throughout the year. Items like agendas for parish council meetings, updated financial reports and parish statistics are be presented in detail to the community on a monthly basis. Likewise, minutes from parish council and organization meetings should be shared regularly. In the age of the internet all of these tasks are very easy. It is also easy to make audio recordings of parish council meetings and share them on the parish website or Facebook page. Producing and sharing detailed information is an element of good stewardship. It also invites people to be a part of a healthy decision making process. 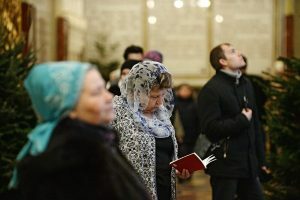 The Orthodox Church rejects the notion of secrecy in its administration and every parish is called to reflect this core belief in its daily life. 2) Always Listen: Healthy leaders know how to listen and healthy parish assemblies are ones that take the time to listen to and respect everyone’s viewpoint. One of the most important features of a healthy assembly is to simply listen to people. Every parish assembly should take the time to ensure people are heard and their viewpoint is considered. A diversity of views often leads to improved parish health. Who knows what good ideas can be discovered when you give every parishioner an opportunity to express themselves? Even the most far-fetched idea can help bring about positive change! 3) Lead Liturgically: The parish assembly is often considered a business meeting but it is foremost an extension of the most important work of the Church: The Liturgy. The means having assemblies that focus on liturgical values. The best form of stewardship Orthodox Christians give is participating in the liturgical life of the Church. As a best practice, the parish assembly is to be led by individuals who demonstrate a commitment to being liturgical leaders. Often times, we mistakenly look to people who whose sole claim to leadership is wealth, power or social status but the truth is that Christ turns this model of leadership upside down. If a tax collector and fisherman can be chosen as Apostles then we can all reflect on who Jesus Christ would call to be leaders in our own parishes. 4)Mission Comes Before Management: Preserving the Orthodox Church cannot be accomplished without growing the Orthodox Church. Stewardship and evangelism go hand in hand. Every parish assembly should continually build on this foundation. 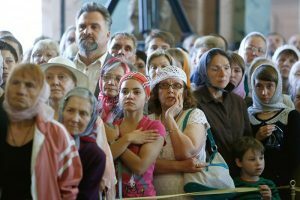 It is very easy to see the health of a parish as a financial bottom line but the reality is that every Orthodox Parish needs a missionary focus not a management focus in order to be successful. 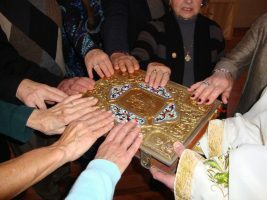 Many of the financial problems that Orthodox parishes experience can be solved by opening the doors of the community and growing a diverse membership. The Orthodox Church is most successful when it exists as a missionary Church not an institutional Church. Every assembly should take the time to re-focus the parish community on its missionary calling. 5)Practice Forgiveness: St. Tikhon of Zadonsk writes that “Forgiveness is better than revenge!” Parish assemblies must not only be places of vigorous debate and accountability, they also must be places where people practice forgiveness. Every parishioner has an obligation to reflect on how they have harmed or neglected others. Forgiveness is not about forgetting or going along to get along – it is about learning to be human. Parish assemblies need to help parishes exist as healing places throughout the year. A parish whose members are acutely aware of their weaknesses and flaws is one that can become a healthy model of Christ’s love. A parish community that can identify and learn from its failures and mistakes is one that can truly change the lives of the people who walk through its doors. A healthy parish assembly like all aspects Orthodox Christian Living is not easy. It is very much a form of asceticism. Successful assemblies take time, effort and humility. With this in mind, it is also important to remember that every parishioner is called to serve in a way that rows upstream against the world. When Christ called the Apostles, no doubt many people mocked the people He had chosen. How can such simple and broken people like Andrew the fisherman and Matthew the tax collector be the foundation of the Church? Yet, the results were miraculous and forever changed the world in which we live. The same miracle can happen today in life of every parish without exception. The question for each of us is whether or not we are truly open such a radical change in our own lives and in the life of the parish we attend every Sunday.